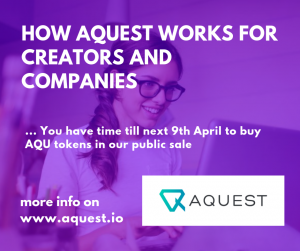 Let’s see how aQuest works for creators and companies. A classical example is an ICO token giveaway. A company has an ICO created and wishes to airdrop tokens to all eligible signees and possible future investors. The airdrop will be ongoing during the time the ICO is live. The company is the creator of the airdrop and wishes to obtain personal information regarding the possible investors of the ICO. You, the creator, visit Enkronos Apps and selects the “aQuest” application. Then join us in the last week of our ICO. 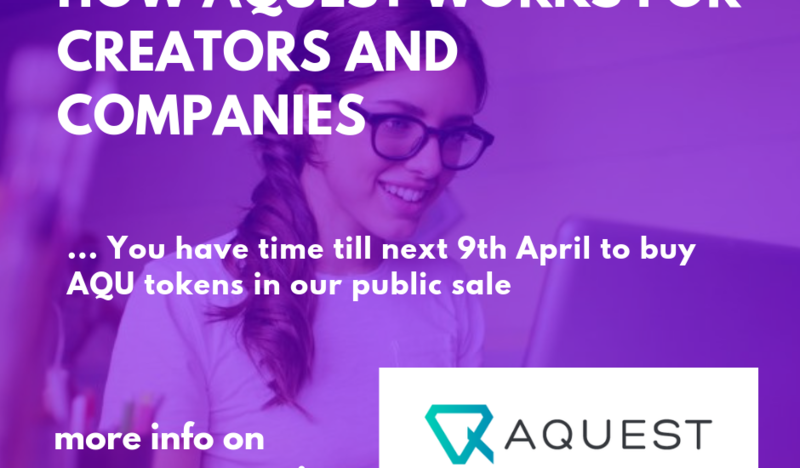 You have time till next 9th April to buy AQU tokens in our public sale.